Loyalty waiver applies up to 30 days after lease termination. Eligibility is determined by leasing or purchasing a new, unused, and unregistered INFINITI financed with INFINITI Financial Services. The lessee’s name of the currently leased INFINITI must be the same as the lessee of the new INFINITI or held in joint ownership. Customers must satisfy all obligations to IFS, in accordance with their current lease agreement. See dealer for details. 1. SCHEDULE YOUR PRE-RETURN VEHICLE INSPECTION: Call the Alliance Inspection Management Center (AIM) at 800.253.9026 or visit https://selfschedule.aiminspect.com for a complimentary, but required, vehicle inspection. 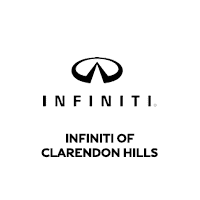 INFINITI Retailers are not authorized to perform this inspection, any requests sent, written or verbal, will not be accepted in the termination process.